Congratulations to Guy Squad swimmers who have just passed their preliminary competitive start awards. 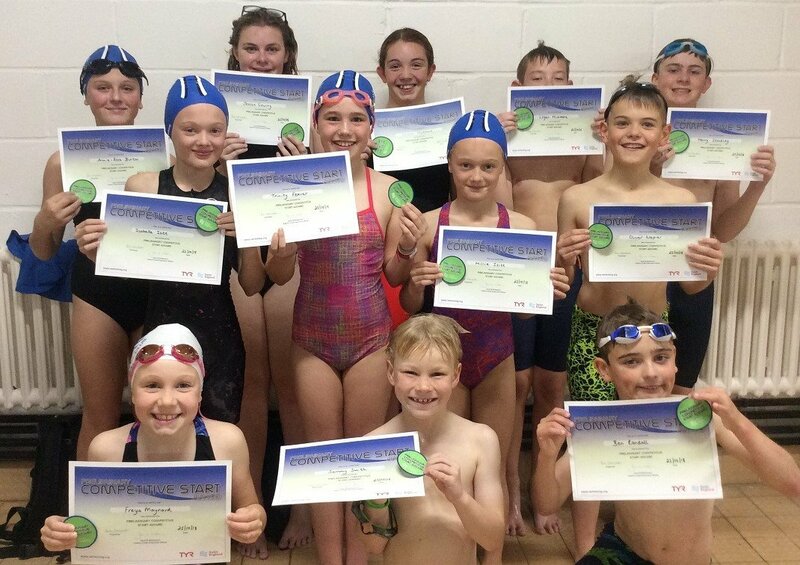 Jess Gowing, Kaitlin Hickmore, Logan Hickmore, Freya Maynard, Harry Stockley, Oliver Napier, Millie Isitt, Isabelle Isitt, Ben Randall, Trinity Feaver, Annie Burton and Sammy Smith all successfully passed their assessment after a four week course run on Thursdays at the Arena. Well done everyone! The next course will be aimed at O’Connor Squad and will run for six weeks 14th November – 19th December. An email will go out shortly.